This organic Aloe Vera and Tea Tree hand wash uses high concentrations of both skin-boosting aloe vera and anti-bacterial tea tree. 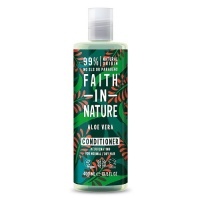 Containing active organic Aloe Vera, and blended with Tea Tree for its cleansing and antibacterial qualities. 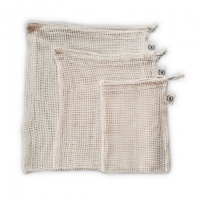 It contains a unique blend of mild cleansers and a unique blend of essential oils to effectively cleanse skin without causing excessive dryness. 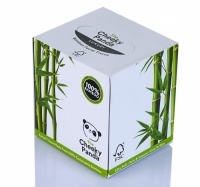 It is free from artificial fragrances, petro-chemical based ingredients, SLES or synthetic preservatives. 70% organic, they are also vegan and cruelty free. Suitable for all skin types. For greasy and oily hands, apply hand wash liquid to dry hands and work into the grease, adding water to lather up and rinse off. 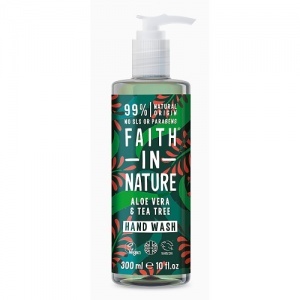 Faith in Nature's 70% organic hand wash will cleanse and care for your hands in a way that is gentle, effective and genuinely natural. Why not treat your skin to the care it deserves.